Every extraction patient should have this handy brochure! It provides general guidelines and post-operative instructions for wisdom tooth extractions to promote healing, prevent complications, and make the experience more comfortable. Your patients are bound to have some preconceived notions of the process. This brochure has information they need on what to expect – and how to watch out for abnormalities. 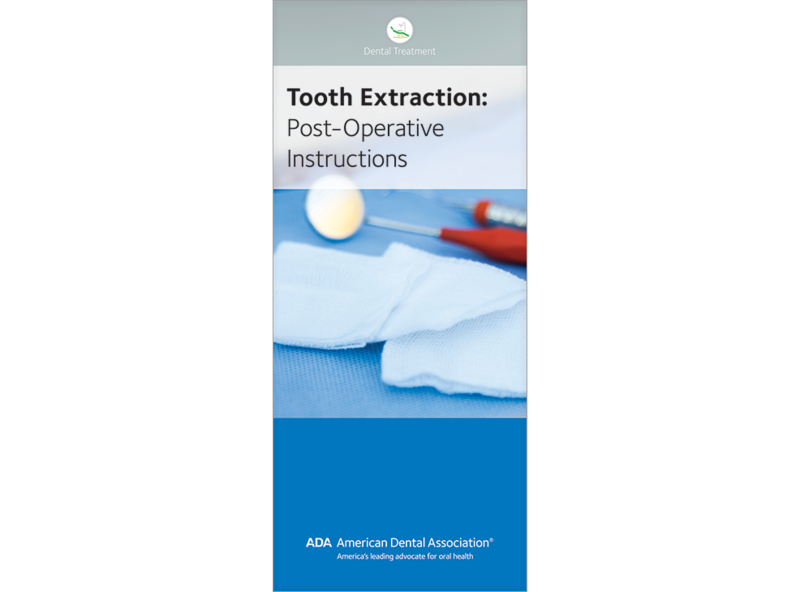 Help put your patients at ease with the new “Tooth Extraction: Post-Operative Instructions” brochure. Click “Add to Cart” to place your order today.